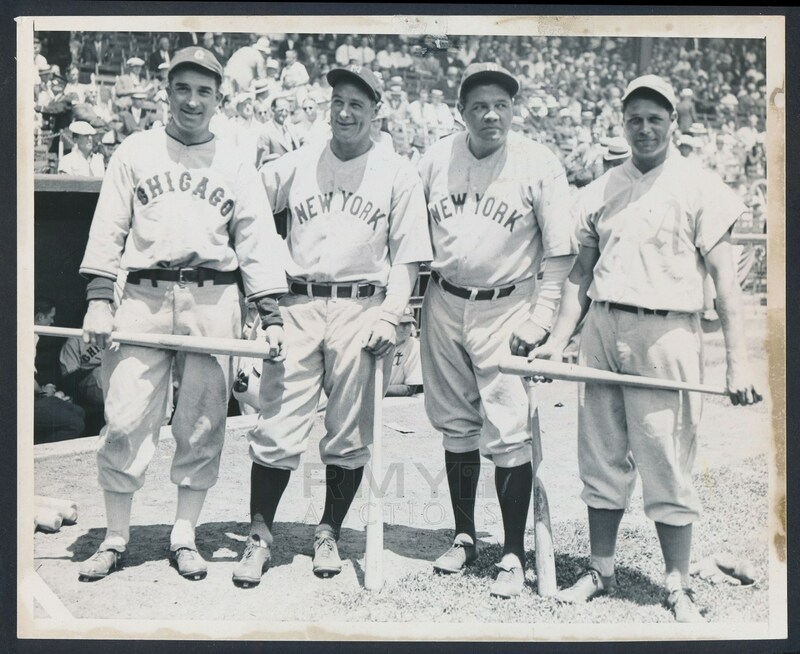 Lot # 34: 1934 Babe Ruth, Lou Gehrig, Al Simmons and Jimmie Foxx "Pose Before Start of Second All-Star Game"
Original 1934 photograph of four of the biggest stars in baseball history posed before the start of the second ever all-star game. Photo includes Babe Ruth and Lou Gehrig in Yankee uniforms and flanked by Al Simmons and Jimmie Foxx. 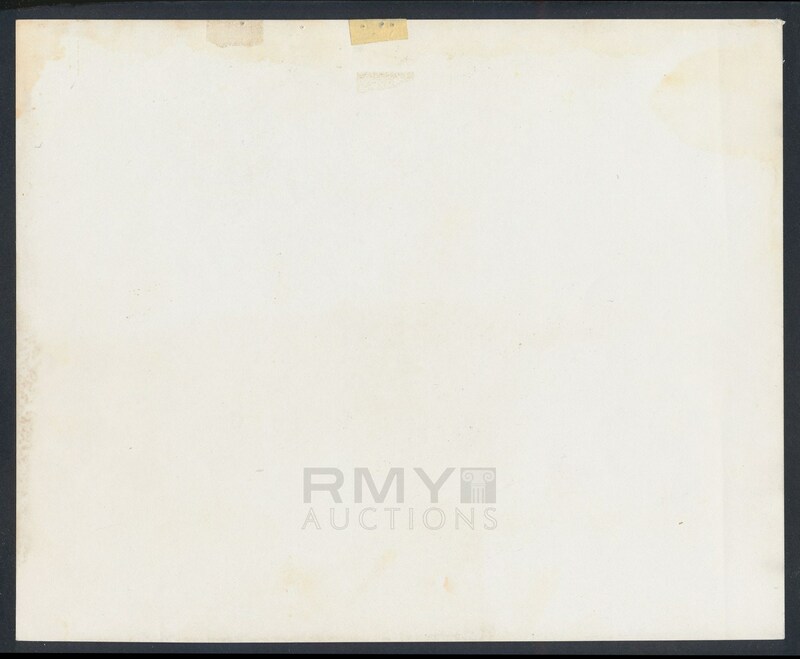 An impressive image that dates to the 1950's and despite some pinholes and a bit of discoloration on the borders it remains very presentable overall.